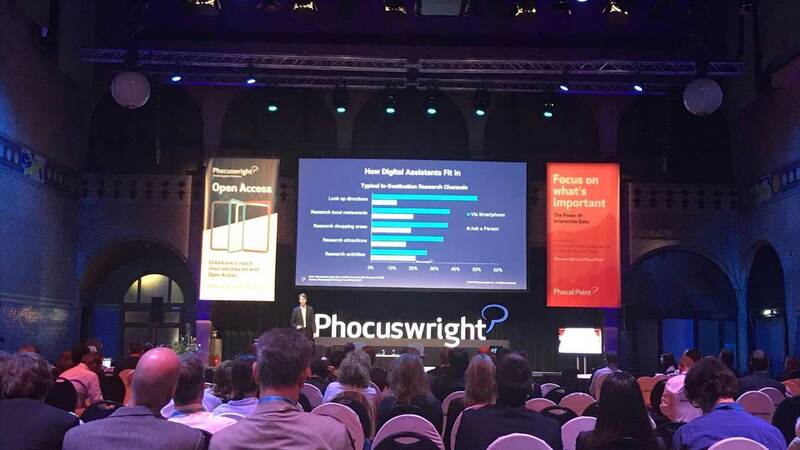 Last week we attended Phocuswright Europe in Amsterdam, a yearly gathering of decision makers from across the travel, tourism and hospitality sectors. 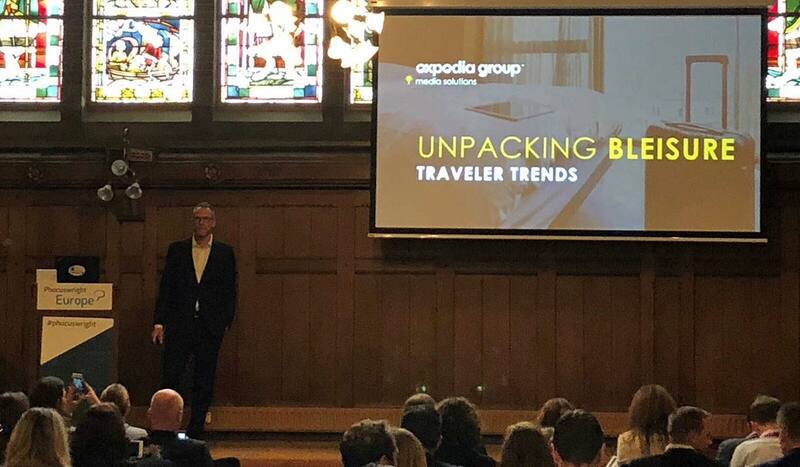 This year more than 40 speakers from Europe’s leading travel and tech companies presented insights to a crowd of over 600 attendees across the two-day conference. During the event, we had the opportunity to share findings from our latest study, which examines the behavior of American, British, Chinese, German, and Indian bleisure travelers. We also heard from leading decision makers from across the industry; here are three interesting themes we uncovered during the conference. The activities sector is flourishing, with players large and small taking steps to better explore its potential. And, we know from previous research that travelers rank activities and experiences at the top of choosing their travel destinations. According to Phocuswright, the global travel activities market has the potential to be worth €138 billion by 2021 and smart technology solutions will have a huge part to play in that growth, especially through in-destination. The activities theme was highlighted again during our own bleisure workshop, where we discussed the opportunities for destinations to market these products to business travelers at their destination, as our research found that they are far less likely to book these in advance. Digital assistants were mentioned in several sessions during the two-day event. Mark Blutstein, Research Analyst at Phocuswright, revealed that as adoption of these devices increases, their influence on the travel sector will become more and more prominent. According to Blutstein, digital assistants such as Alexa and Google Voice are now used by 37% of European travellers for a range of requests, most commonly searching for hotels, searching for flights and requesting location information. This will eventually change the way we interact with travel technology, moving us toward more natural, conversation-based systems. While the European travel sector is booming, the importance of Asia as a driver of growth and innovation for the global travel market was a common theme at Phocuswright Europe. From funding, to payments, to product innovation, the opportunities coming out of the continent will profoundly shape the future of travel. Siew Hoon Yeoh, founder of Web in Travel, set the scene around the size and scale of these opportunities, while a host of leading travel specialists from both inside and outside Asia, discussed how to leverage them though technology. To stay up to date on our latest news and research, subscribe to our blog via the form below, and follow us on Twitter and LinkedIn. We hope to see you next year for Phocuswright Europe 2019!